We know that shopping for vacuums isn’t most peoples idea of a great evening in so we’ve created this buyers guide to make things easier. By the end if this guide not only will you know everything there is to know about the Hoover Flexi Power Su204BR2 (VIEW PRICE HERE!) but you’ll also have a good idea of what to look for in a vacuum cleaner and what your options are. The problem with a lot of vacuums is that even the cordless models can be quite bulky and take up space which some people don’t have. The Hoover Flexi Power SU204BR2 comes with a foldable handle to help make the vacuum more compact in order to save space. The Hoover Flexi Power SU204BR2 comes with a rotating brush bar. Brush bars are great at getting rid of any dust, fluff pet hair which may have gotten wedged into your carpet that might not be picked up by a standard vacuum head so if you have pets this is a really useful tool to have. Some vacuums find it difficult to reach underneath your furniture and as those areas can collect dust and goodness knows what else it’s important to be able to clean the areas which you can’t see as well as the ones that you can. The Hoover Flexi Power SU204BR2 has a special low profile design which allows it to get underneath your furniture with ease, making sure you never end up hoarding a load of dust ever again. If you have a variety of different floors in your house (I.e. a mixture of carpet, rugs and/or hard floors) then it’s to make sure your vacuum can clean multiple surfaces and hasn’t just been designed for carpets or hard floors alone. 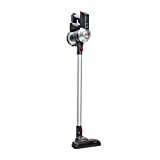 The Hoover Flexi Power SU204BR2 is suitable for both carpets and hard floors so you know you’ll be able to use it to clean your entire house. Dirt and dust are not confined to the floor so your vacuum cleaner shouldn’t either. 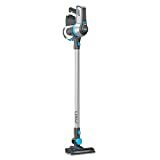 The Hoover Flexi comes with tools specifically designed for above floor cleaning to help you keep your whole house clean and dust free. 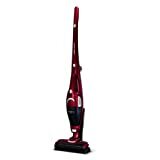 Vacuum cleaners which are bagless can be easier and cheaper to use because you don’t need to purchase disposable bags and you can often empty the vacuum directly with minimal risk of spillage. 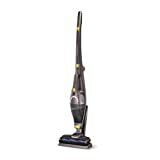 It is a personal choice and not everyone prefers them, but the Hoover Flexi SU204BR2 is bagless so if that is important for you then it’s a definite perk.